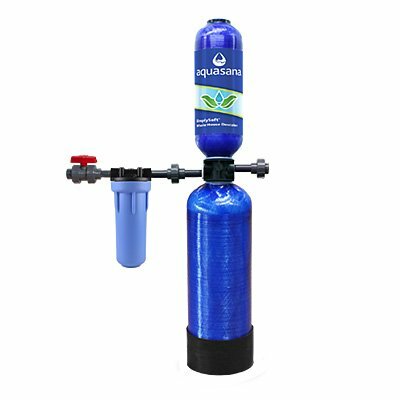 A water purifying system is helpful when you want the water to be filtered at source in your home. For instance, when filtering tap water, there are normally two ways to do this. The first is to install a filter at the single point of use (i.e. the tip of the tap faucet) and the second is to install a water filter under the sink. Water filtration systems, on the other hand, for the whole house will filter the water from every tap in the home. This will ensure that you get the same quality filtered water at every tap in your home. 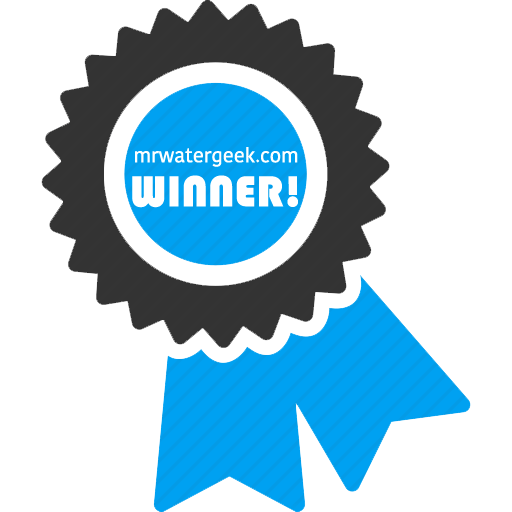 In this comprehensive guide to getting the best entire house water purifying system, you’ll find everything you need to know. This includes the best whole house purifiers, their best features and all detailed product information. 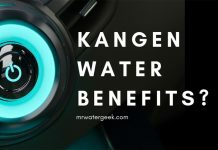 I only review a whole house water purifying system if it comes with NSF-certified filters that are certified to eliminate the impurities it says it will. 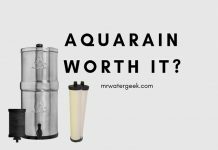 At the end, I’ll explain why, in my opinion, the Aquasana OptimH2O is the best way to filter and purify water in your home. 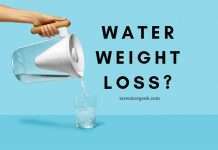 PROBLEMS with Whole House Water Purifying Systems? When Do You Need to Install a Whole House Filtration System? 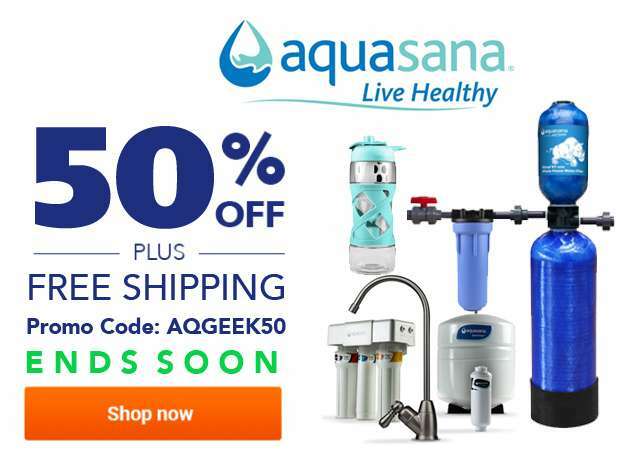 Get up to 50% discount and FREE shipping with Aquasana coupon AQGEEK50. 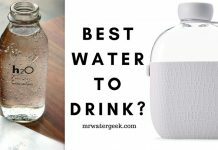 Which is The Best Water Purifying System? 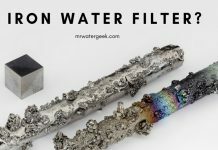 Higher filtered water outlet: Compared to a POA filter, a filter for the whole house can filter all the water needed for cooking, drinking, washing, bathing, etc. Remove all multiple pollutants at once: This is because they are multi-stage filtration systems and household water filters. They are capable of removing hundreds of pollutants like chlorine, VOC, herbicides, heavy metals, pesticides and bacteria. Convenience: Installing and monitoring a single filtration system for the entire house is easier than monitoring filters at multiple points of use. 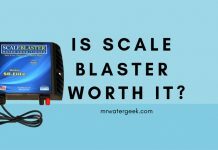 Less scaling: Certain filters for the whole house also have a decalcifying effect, so you will experience less economies of scale in appliances and bathroom equipment. Affordable: Installing a water filter for the entire house is less expensive than installing a filter on multiple water outlets in your home. 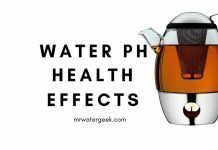 Healthier baths: With a filter for the whole house, you experience healthier baths as impurities that can cause skin irritation or damage your hair. Brighter clothing and less detergent consumption: With fewer deposits in the water you can improve the efficiency of your detergents and preserve the color and texture of your clothes. Flexibility: You may find that the content and type of contaminants in your tap water have changed. 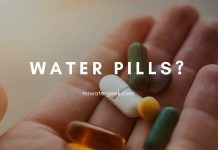 If this is the case you can replace your existing water filter cartridges with other filter cartridges that can also attack the newly discovered contaminants. Installing a water filter for the entire house can be more difficult than installing a water filter under the sinkor getting a countertop water filter. You will most likely need a professional plumber to install it for you. Maintaining a water filter throughout the home may require more attention. Especially as any reduction in system efficiency due to inadequate maintenance can affect performance. 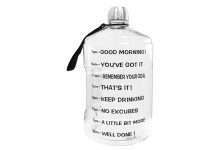 Personalizing the of the type of filtered water (e.g. 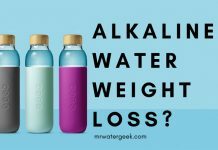 alkaline water, soft water, filtered water etc.) can only be done for the whole system. This is not going to be possible for individual water outlets. 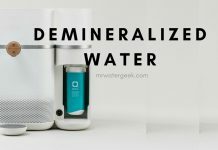 If you really want to adjust the type of water you get from an individual water outlet then you need to install additional filters under the sink or get an alkaline machine. You may need to replace the filter cartridges regularly which can be inconvenient. This is why you should make sure that the filter media lasts for a long time and the replacements are not very expensive. 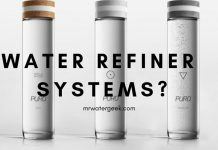 All the water purifying systems I review below meet these criterion. Your daily need for filtered water consumption can be solved by getting a whole house water purifying system. This is great for cooking, drinking, washing up and other cooking activities. And it’s great when you only have a tap filter but also want to filter water in other parts of your home. 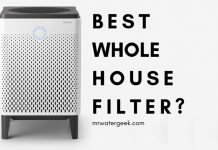 The only way to go is to get a filter that purifiers every water outlet in the home. Suppose you live in a large house with two or more bathrooms and you want to filter them both. The point-of-use filters installed in your kitchen can not meet this demand. Only a whole house filter can deliver filtered water to every single water outlet in your home. 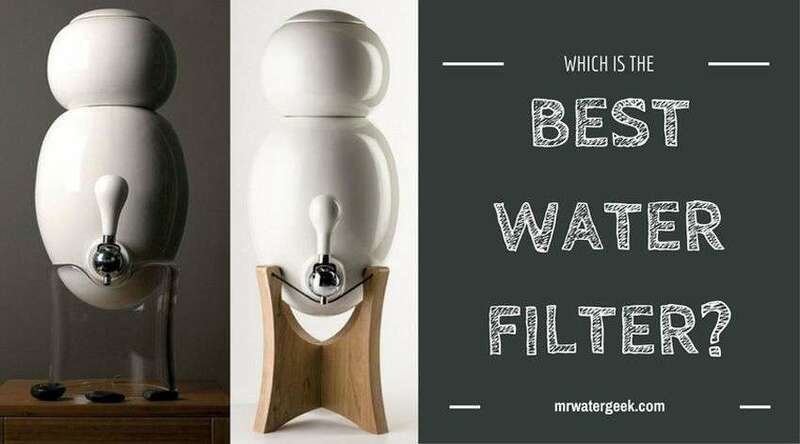 At this point you should choose a water filter for the entire house instead of a water filter under the sink or on the countertop. 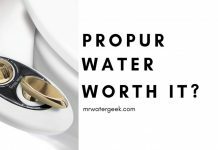 You should get a whole house water purifying system because: You live in a large house with several bathrooms and an above-average water consumption. The consumption of filtered water goes beyond drinking and cooking. You need a multi-stage water filter system to be able to attack several pollutants at the same time. There is a need for something that will remove sediment, chlorine, taste and odor problems and other contaminants from tap water. 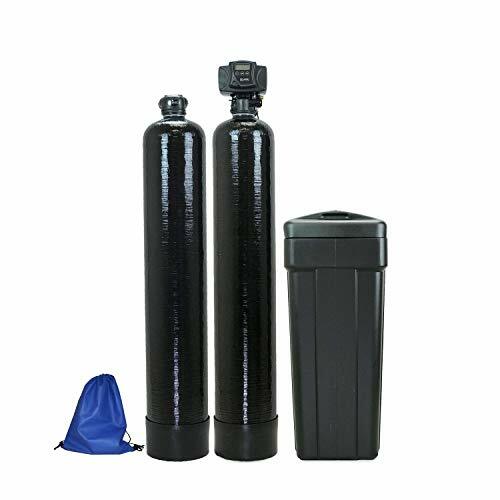 These all-home filtration units are multi-stage filters with a highly filtered water outlet and rugged filter cartridges designed for longevity and heavy duty use. Just remember that as with most multi-stage water filters, proper maintenance is essential for the optimal operation of the entire water filtration system in your home. 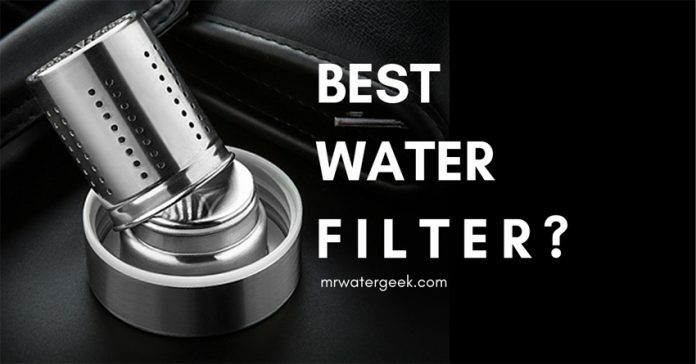 Controlling the performance of the entire water filter in your home is the key to making sure everything runs smoothly and delivers high quality filtered water to every faucet in your home. Take Care Of Your Water Purifying System Cartridges. Make sure you constantly monitor and change your filter cartridges when they need changing. 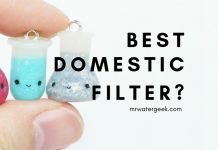 Although filters for the whole house usually work with no more than three filter cartridges, they are often interchangeable at different intervals. For example, a sediment filter in a house-wide water filter needs to be replaced every 6 months. While other filters in the filtration process may take up to 24 or 36 months. Forgetting to replace the previous filters in a timely manner can lead to clogging problems, system malfunction, damage to other filters during the process, contaminated water, and low water pressure that affects every water outlet in your home. In cases where the filters are used excessively, bacterial growth problems can also occur. This in turn can also lead to bad odors in the tap water or even gastrointestinal problems. To make sure this never happens, set up reminders for each individual filter cartridge that needs to be replaced throughout in your household. Make sure that you have the replacement filters ready when you need to replace your filter cartridges. This water filtration system has filters that filter 1 million gallons or 10 years of water supply. By way of exception, this filter for the whole house from Aquasana contains everything that is required for a professional installation. However, installing this system is a bit complicated. Therefore, you may need to hire a plumber if you are unfamiliar with plumbing or DIY. 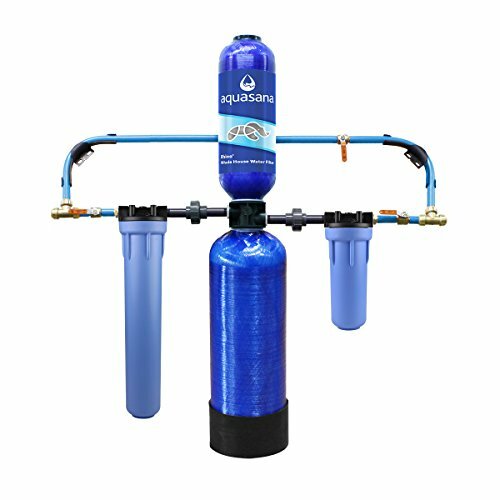 This Aquasana system can eliminate approximately 97% of chlorine in the entire water supply of your home. 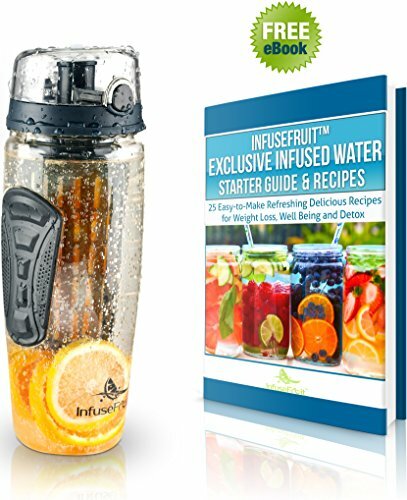 This can improve the taste of your drinking water and prevent hair and skin from being exposed to excessive chlorine. 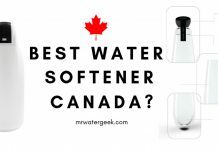 Technically, the system is not a water softener and more of a filter, but it provides high quality results similar to a water softener and filter combo. The package includes shut-off valves and accessories. Does not create any sewage or mess. High performance, so this does not affect the water pressure. It supplies your entire house with pure, high quality water that requires little or no maintenance. The ABCWater’s Triple Combo is a complete water softening system suitable for your entire home. This system contains everything needed for installation. The package also includes the option of technical support if you need help. This water softening system from ABCwaters uses reverse osmosis to filter and soften water. The 5-stage filtration system has an efficient design that easily removes contaminants from water and improves the water supply in your home. The delivered valves are guaranteed for 5 years. Designed to filter and soften the water in your home. 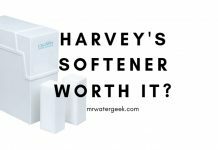 It is the best selling filter softener on places like Amazon with excellent customer feedback. This system is designed for use in an average family home (which is from 2 to 5 people). 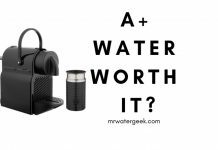 This is by far the most popular home water purification system. 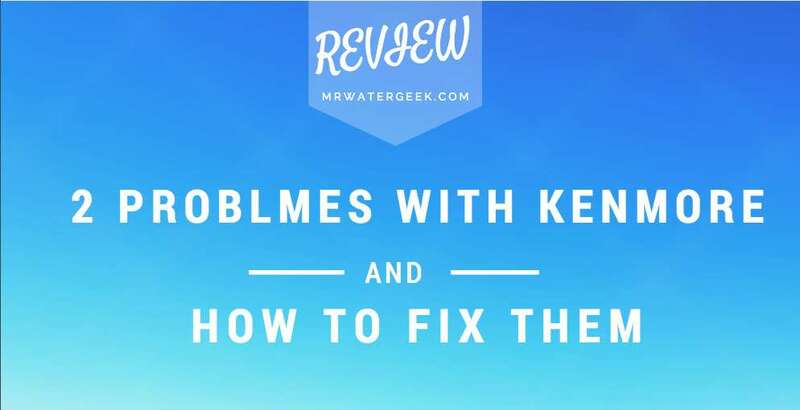 Therefore, it is easy to troubleshoot, get manuals and help because there is a lot of information available on the internet. 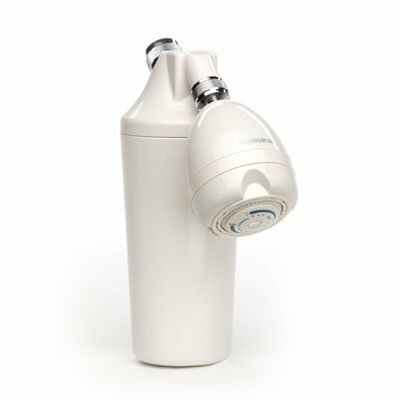 The revolutionary all-home OptimH2O filter is certified to reduce lead and cysts by more than 99% and PFOS / PFOA by 98%, removing chlorine, chloramines and more. This OptimH2O filter has been tested and certified by IAPMO according to NSF / ANSI Standard 53 to reduce the soluble and particulate forms of lead and cysts. And perfluorooctanoic acid (PFOA) and perfluorooctane sulfonate (PFOS) according to NSF / ANSI Standard P473. 98% of PFOA (perfluorooctanoic acid) and PFOS (perfluorooctane sulfonate). Also reduces at least 90% of chlorine and chloramines. 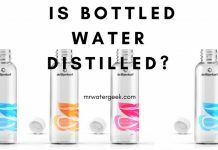 Get great tasting and odorless water for drinking and cooking.Reduce stress on your body with chlorine, chloramines and synthetic chemicals that can cause damage and excessive dryness. Bathe with filtered water to keep skin and hair noticeably healthier and hydrated. Very expensive, especially when you include all the optional add-ons. 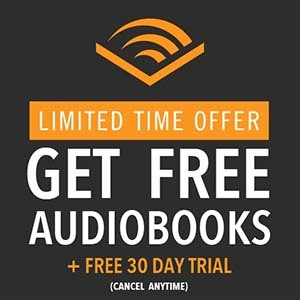 One way around this is to use the coupon code: AQGEEK50 to get 50% off (ENDING SOON). Naturally and safely, it reduces the deposits and limescale in inner pipes without the use of salt or aggressive chemicals. Reduces corrosion with SCM (salt-free softening technology) that can accumulate in water installations, home appliances and equipment. 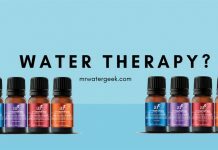 Get full protection at home to protect yourself from bacteria and viruses that may be present in your water. You can also upgrade to get the powerful UV filter option. 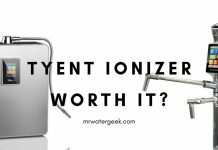 This means that it will kill 99.99% of viruses and coli, bacteria, chlorine-resistant cysts like giardia and cryptosporidium. The LED flow meter let’s you know exactly when to change your filter cartridge. You do not need a plumber to change your filter cartridge. A filtration of up to 0.5 microns reduces lead, cysts, chloramines, chlorine and much more to get incredible water throughout your home. The flow rate of up to 8 gallons per minute meets the needs of your busy family. Eliminate the assumption that the filter needs replacing. 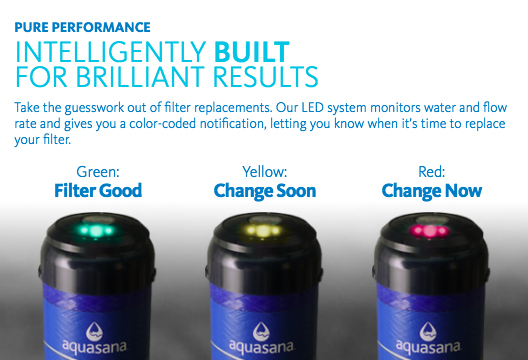 The LED system monitors the flow and the water and gives you a color-coded notification informing you when to replace the filter. Uniquely designed with a single filter that can be easily lifted and replaced. The OptimH2O filter uses advanced, patented snap ring technology. 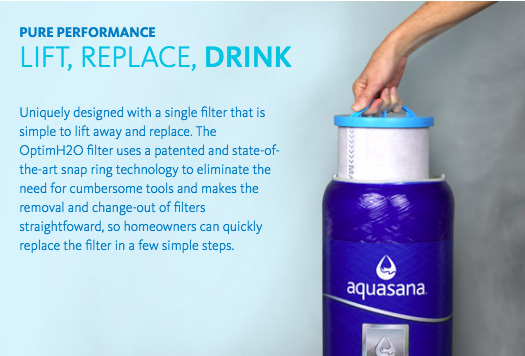 This eliminates the need for cumbersome tools, and filters can be removed and changed directly, allowing homeowners to quickly and easily replace the filter with simple steps. Filtering the entire house is a cost effective and efficient way to handle the problems of contaminated tap water throughout the home. 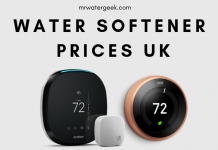 The large number of water filters for the entire house on the market makes it easier to find a filter system that fits your budget. You will need a water purifying system to remove pollutants from your home water. 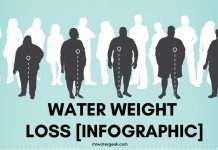 Do you live in a large household with higher water consumption than normal? 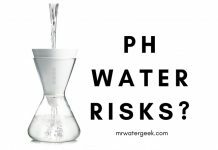 Does your tap water have contamination problems? And does this require the installation of multiple POA (point-of-access) filters? Then getting a water filtration system for the entire house can be an economical alternative and efficient. The OptimH 2O in my opinion is by far the best whole house purifying system available on the market today. 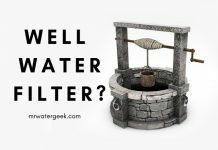 Next articleLead Water Filter Whole House: Is It WORTH it?